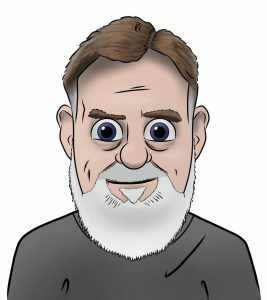 I had my own experiences with the Cross at Ground Zero and its discovery by Frank Silecchia, which I wrote about here. Has this cross been blessed by a Catholic priest? Just curious. 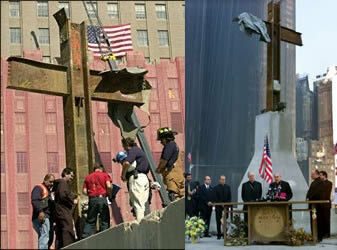 The Cross has indeed been blessed by Father Brian Jordan, a Franciscan priest and Chaplain of Ground Zero. He’s the second person on the left in the left picture (the one in the brown robe) and I think that the pic actually shows the moment of the blessing. Other pieces of the towers were made into smaller replicas of the Ground Zero Cross and one served as the altar cross for the masses said each Sunday at Ground Zero.